Embodying new lifestyles and experiences. 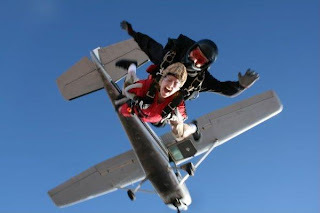 If you don’t already know what skydiving, or parachuting, is then this blog probably isn’t for you. But for the other 99.99% of the population that does, let’s get to it! Base jumping – Jumping from a fixed object such as a cliff, bridge, or (scarily) a tree. 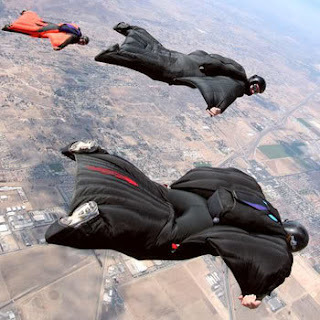 Wingsuit flying – The attempt to “fly” through the air wearing a specially designed jumpsuit that shapes the body into an airfoil creating lift. Skysurfing – Skydiving with an aerodynamically crafted board attached to the feet that allow the user to perform enhanced aerial maneuvers. 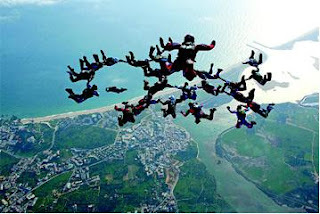 Freestyle skydiving – Competitions in which jumpers try to out maneuver others in an attempt to gain the most style points. 1. Tandem jumping – Student skydiver is attached to an experienced instructor who controls all aspects of your launch and landing. 2. 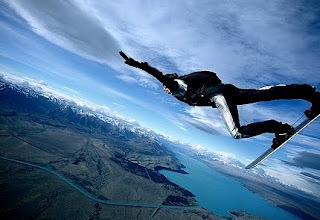 Accelerated Freefall (AFF) – This option is labeled as “accelerated” because it is the fastest way to skydive solo. The student learns to land oneself but is accompanied by at least two other instructors on the decent. Tandem jumping is obviously the easier of the two and perhaps the most enjoyable. Especially for first time jumpers who are experiencing a lot of anxiety, knowing that someone else has got your back (literally) may allow you enjoy the actual experience a little more. Plus, all you have to do is show up at your scheduled time, get a few instructions (which normally doesn’t take more than 2 hours), and you’re on your way up! Prices range from $190-$230 for individuals; however some locations offer group discounts. AFF is much more tedious and expensive, but it’s worth it if you want that feeling of independence. The actual jumps themselves are around the same price ($230-$300), but the training can cost you up to $1,500. But what about safety? Well only 30 people, per 100,000 jumps, die each year from skydiving. If that’s not enough to settle your stomach, visit www.dropzone.com/safety for more information. As for finding a place to jump, I’ve found the site, http://www.wheretojump.com/, extremely helpful. But most places are also listed in the phonebook. I want to know…what you think the stupidest way to die while skydiving would be. Perhaps being struck by lightning or maybe choking on your descending vomit? Post a comment and I’ll get back to you. CRAZY BUY ON A BIKE - A place for bicycle tourists and their journals. WITHIN REACH MOVIE -- Reaching within for sustainable communities.